was born in Sleepy Hollow, New York, and grew up in La Jolla, California. is the son of Jim Vaus, former organized crime wiretapper who came to personal faith in Jesus Christ through the ministry of Billy Graham in 1949.
holds a Bachelor of Arts degree in drama from the University of California at San Diego and a Master of Divinity degree from Princeton Theological Seminary. has served churches in California, the Carolinas, Pennsylvania, and West Virginia, and is currently the Pastor of Stowe Community Church in Stowe, Vermont. is the President of Will Vaus Ministries, through which he has creatively communicated the love of Christ around the world since 1988.
is the author of Mere Theology: A Guide to the Thought of C. S. Lewis, My Father Was a Gangster: The Jim Vaus Story, The Professor of Narnia: The C. S. Lewis Story, The Hidden Story of Narnia: A Book-by-Book Guide to C. S. Lewis' Spiritual Themes, Speaking of Jack: A C. S. Lewis Discussion Guide, Keys to Growth: Meditations on the Acts of the Apostles, Open Before Christmas: Devotional Thoughts for the Holiday Season, and Sheldon Vanauken: The Man who received "A Severe Mercy". 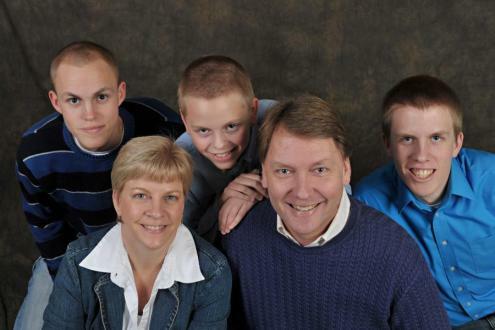 and his wife, Becky, have been married since 1988 and have three sons: James, Jonathan and Joshua. is ordained through the Next Leadership Association. To learn more about Next Leadership click here: www.nextleader.org.